I view my photos with an extra lens: the circumstances behind the shot: I was drinking coffee on the sofa when I spotted two birds outside in a bird bath. I shot through a window, unaware of the reflection in the water. The pond photo was taken a few years ago when I visited favorite places from my childhood. While there are reflections of trees and clouds in the water, the overall tone was muted, like a dream–it wasn’t as nice as I remember. Finally, my favorite beach area is a at the bottom of a cliff at Carmel Point. 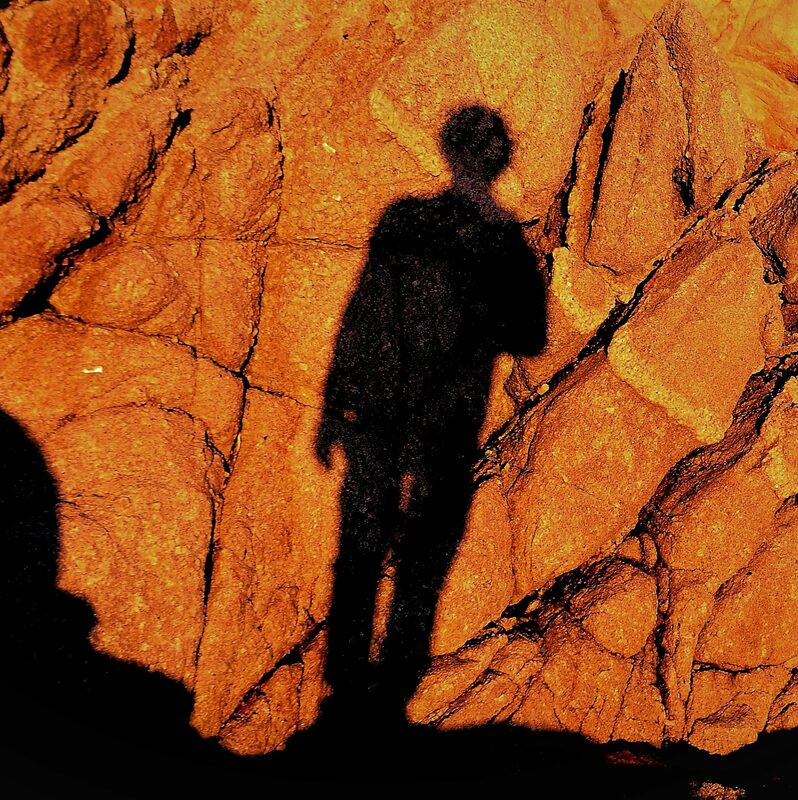 Instead of taking a selfie, I shot my shadow on the boulders–this seemed more appropriate to the mood I was trying to capture.